In basic terms, a circuit is a workout in which you perform a series of exercises with little (or no) rest in between. Then you rest and repeat. 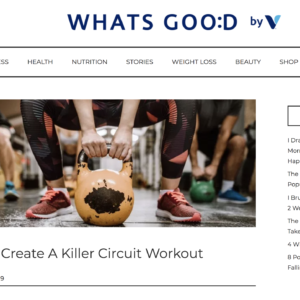 Read our feature in Vitamin Shoppe‘s blog to learn insight from our Coach Mike on how to create a killer circuit work out. Westchester Magazine shares how our boutique fitness facility offers all that a standard gym does — barbells, kettlebells, ropes, a TRX system — but sets itself apart with an infrared sauna, an onsite masseuse, and both full-body and localized cryotherapy. This blog sheds light on how our new spot (which formerly was a different gym) is centered around individuals’ physical and mental performance by focusing on strength training, wellness, and recovery. 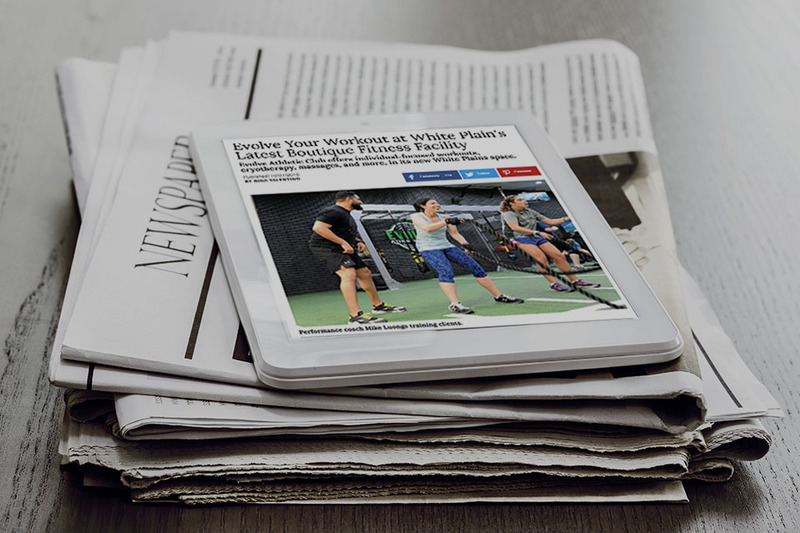 Read how you can Evolve Your Workout at White Plain’s Latest Boutique Fitness Facility. 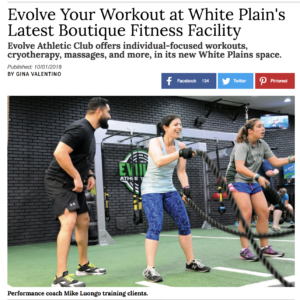 ABCNYMOMS.com shares how Evolve Athletic Club owner Kim Ambrosio, and mom of three (including twins), filled the need for a safe, supportive, and specialized prenatal and post-pregnancy program in White Plains NY. A unique approach to pregnancy personal training, Evolve’s pregnancy fitness program, both follow doctor’s orders while promoting positive pregnancy outlook, and empowering moms through measurable results. Learn what a pregnancy fitness program can do for you.